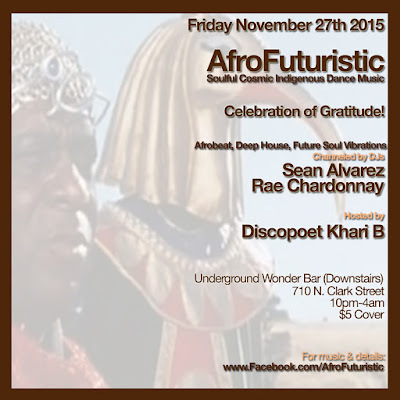 AfroFuturistic is a celebration of emerging creative and progressive ideas & actions rooted in the African diaspora. We connect with our ancestral roots by using our spiritual antennas as well as follow the blueprint of our elders to broadcast our vibrations through sound, energy, and movement. The sound is deep, melodic, electronic, indigenous, cosmic, creative, jazzy, soulful & spiritual and possesses the rhythmic textures of dance/house music. The momentum, energy, and vibe of the music creates residual effects of enlightenment and satisfaction of the soul. 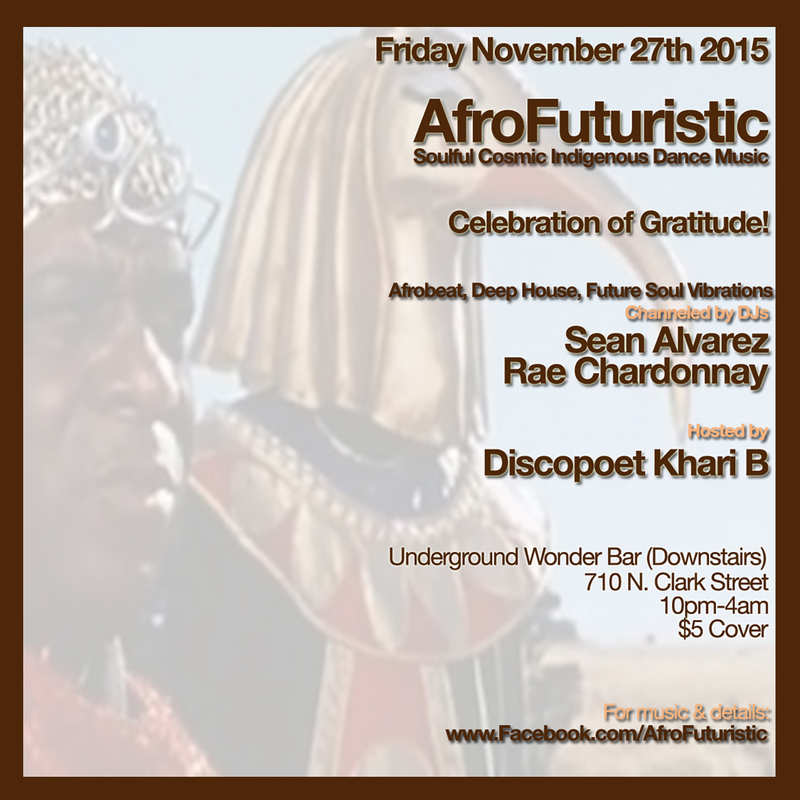 Join us Friday November 27th 2015 as we celebrate this sacred art form and collectively send positive vibrations into the universe and await their return. Journey with us to the next level as we conduct a current to electrify your mind body and soul!